If you are at a crossroads in your life and are looking for some career guidance, call Intouch Career College. We offer career counseling to point you in the right direction for you. Once you determine a path our supportive staff can help you prepare a resume or help you sign up for classes. We will work with you and offer guidance and support as you make decisions that will change your life, for the better. Our programs focus on academic upgrading, vocational assessments and computer education with emphasis on Microsoft software. We have a low student to teacher ratio and experienced qualified instructors. We offer continuous intake throughout the year so you won't have to wait until the beginning of a semester to join us. 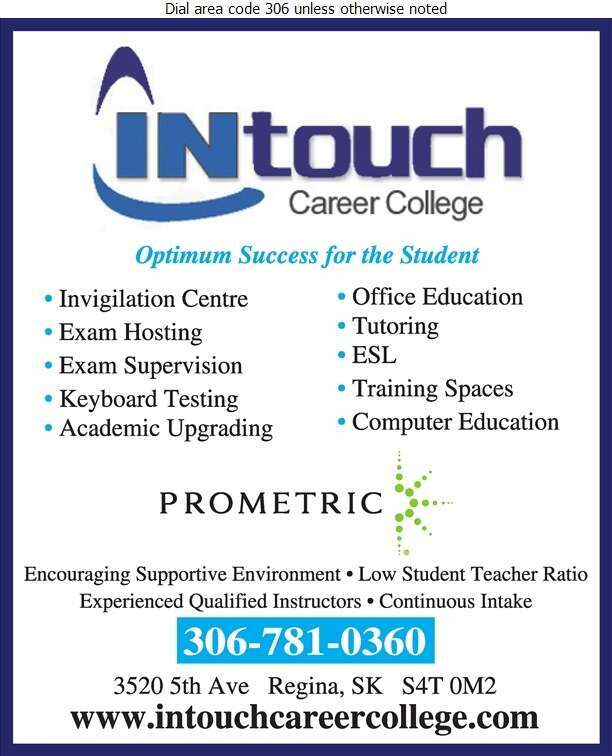 Call InTouch for computer training solutions.